Do you feel the nip of Fall in the air? The evenings have been so much cooler over the past few weeks and the weather pattern has been shifting from monsoons to more sporadic storm systems. The days are definitely getting shorter and some of the produce is starting to slow down. Tomatoes are still going strong, but cucumbers are petering out and some cooler weather crops like arugula and radishes are making a reappearance. The produce never lies – the season is turning. This is the week I always look forward to: okra is here! I hope those of you who are not okra lovers or who just don’t know what to do with it will look through our recipe archives or search the web for some inspiration. Okra is awesome, and can be cooked so many different ways. I have really come to love it over the years (obviously) and I get so excited when it is finally available. Just last week I was looking through last year’s newsletters to see when we got okra last year, because I was getting a little bit antsy. And here it is, right on time! This week’s tomatoes were grown by Sunnyside Farm in Camp Verde. 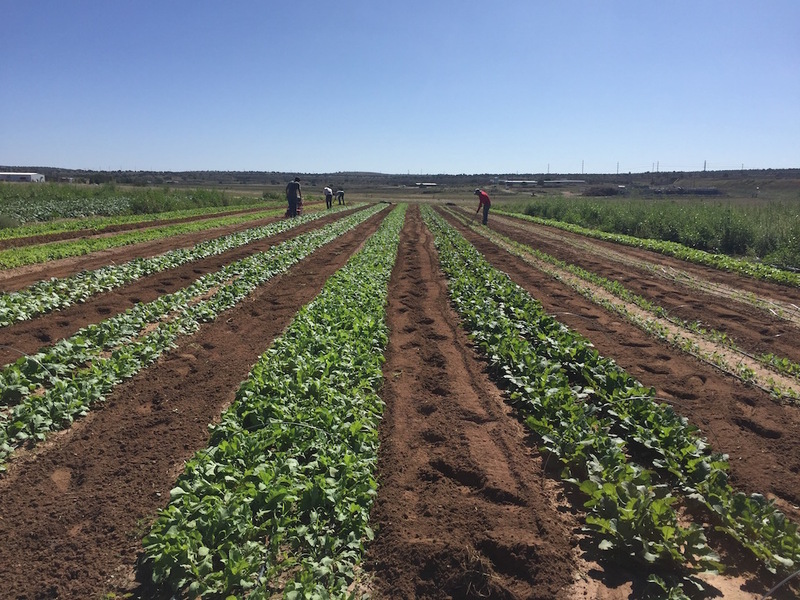 Marshall and Kevin grow vegetables and raise pastured chickens (for meat and eggs), grass-fed beef, and pastured pork. They care so much about raising their animals and vegetables with care and compassion and they are two of the sweetest guys I know. 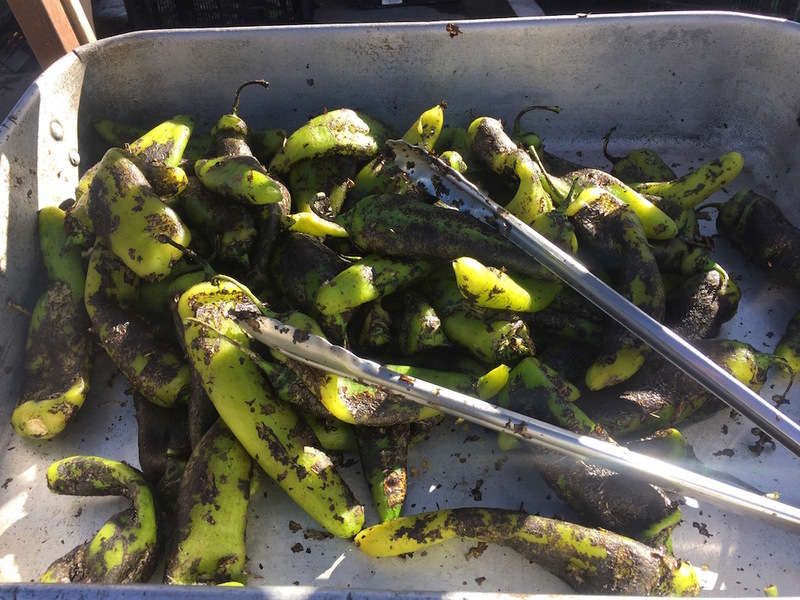 Some of you may have seen them at the Sedona Community Farmers’ Market during the winter season or the Verde Valley Farmers’ Market in Camp Verde. If you are a meat-eater and you are looking for the freshest, healthiest, and happiest local meat, look no further – they have it! Have a happy Labor Day and a wonderful week. It is monarch butterfly (and caterpillar) season. 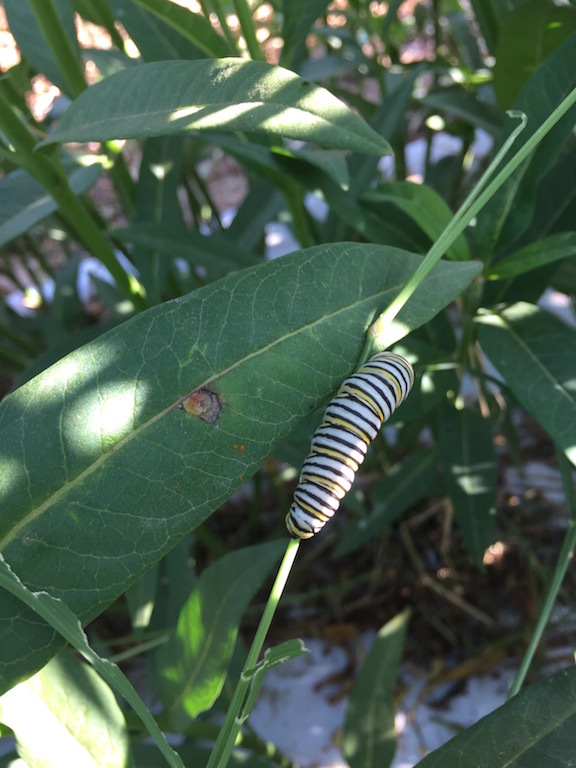 These beautiful butterflies rely on milkweed to lay their eggs and feed on as caterpillars, so please plant milkweed like they have done at Whipstone Farm. 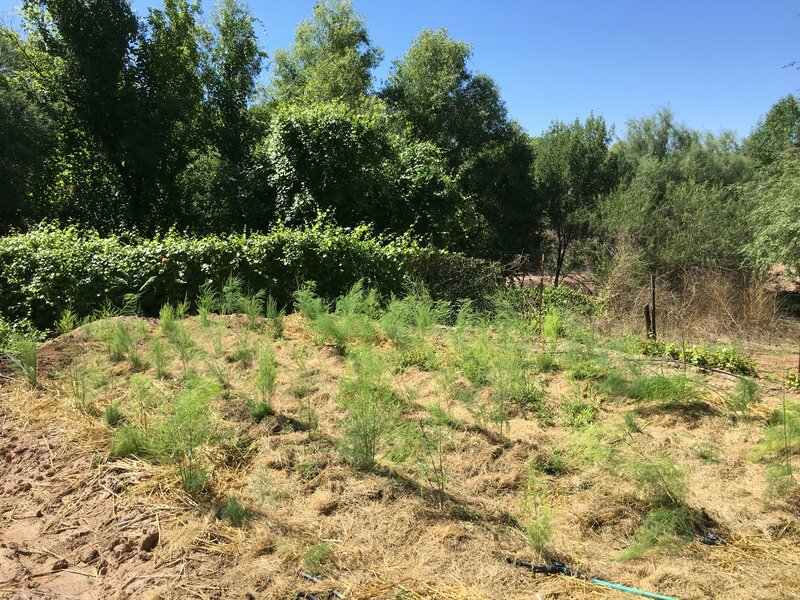 Denise planted an asparagus patch at Willowbrook Farm this year. I’m looking forward to when this patch produces enough spears for all of us! Don’t these fields at Whipstone Farm look gorgeous? !